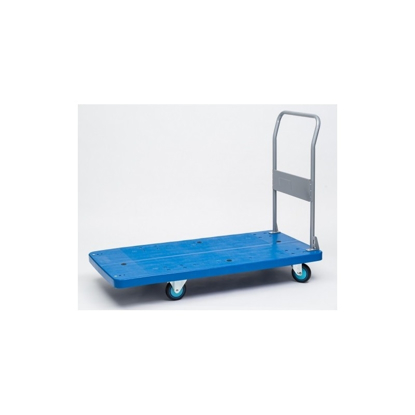 Hand trolleys allow you to increase productivity and reduce injuries when moving and lifting goods in your business. Our warehouse trolleys offer outstanding quality - our customers include heavy manufacturing, warehousing and food suppliers. Our trolleys include silent wheels making them easy to push and able to navigate small stones and debris often found in warehouses. 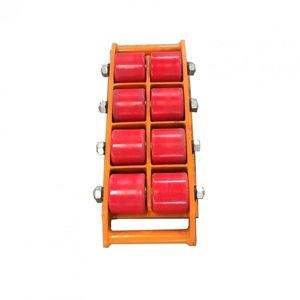 They are specifically designed for heavy loads and the roughest treatment. Quality and price you simply can't find at your local hardware store. You can depend on our warehouse trolleys to last the distance. 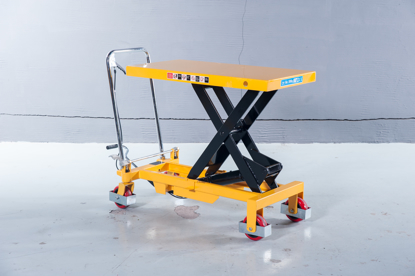 This industrial platform trolley cart has a heavy 300kg carrying capacity with large rubber wheels making it ideal for heavy industry applications. Its large 125mm (5") rubber wheels allow the trolley to glide over small bumps and debris in any warehouse, even with heavy loads. This 1.35m trolley is suitable for the most demanding industrial environments and is built to last. This two-tier industrial platform trolley cart has a heavy 300kg carrying capacity with removable gates. 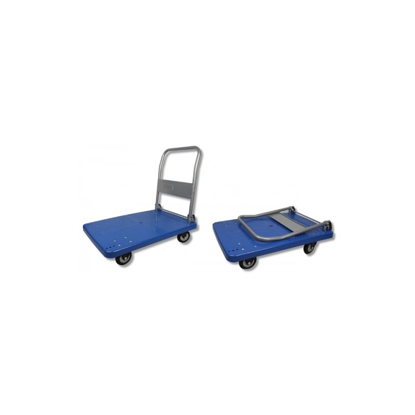 Its large 125mm (5") rubber wheels allow the trolley to glide over small bumps and debris in any warehouse, even with heavy loads, making it ideal for heavy industry applications. 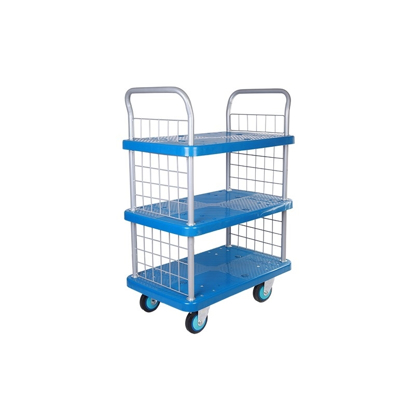 This 1.35m 2-tier trolley is suitable for the most demanding industrial environments and is built to last. 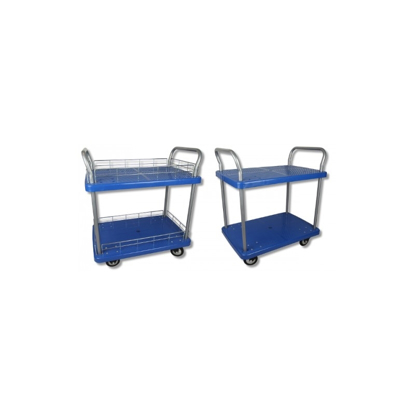 This three-tier industrial platform trolley cart features large 125mm (5") nylon wheels allow the trolley to glide over small bumps and debris in any warehouse or kitchen. Its durable design and construction makes it perfect for busy warehouses, kitchens or bakeries. This hydraulic trolley is designed to lift loads to a safe and ergonomic height for users (up to 900mm). It's large 815mm x 500mm tray lifts heavy or bulky objects to an appropriate height for loading into vehicles or onto shelving.